Every new year begins with the hope of starting fresh, some of us making new year resolutions, some setting goals. 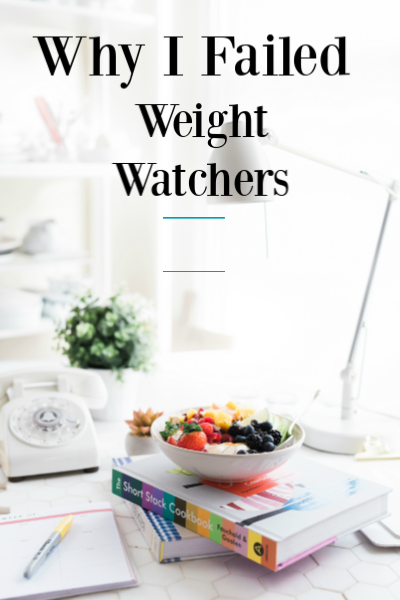 No doubt the most popular resolution or goal is weight loss, so I thought it would be a good time to talk about my own Weight Watchers journey. 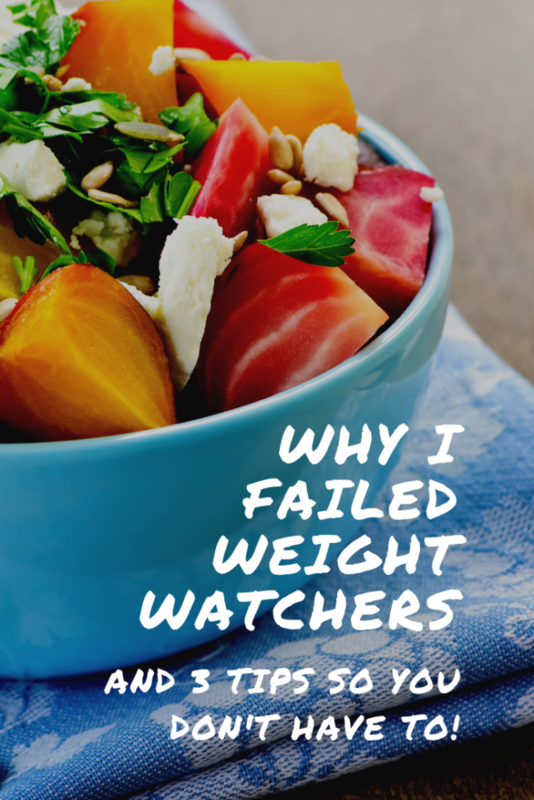 I started Weight Watchers in June 2014. I had 20 pounds to lose and my mom always had success with Weight Watchers, so I thought why not? Let me also mention that I started this weight loss journey during a very hectic time in my life. My son’s diagnosis was new to me, I went back to school in February, I was working part time and my dad’s cancer had returned after 20 years. With that said, I was determined to lose the weight and commit to the Weight Watchers program. I attended the meetings and did my weigh in every Sunday morning. The first few weeks I did not lose a single pound and honestly was thinking of throwing in the towel. I figured it wasn’t going to happen for me and I would need to find another way of losing the weight. Thankfully at about week 4, I lost a few ounces and I wasn’t very excited about it but figured It was a start and I should keep going. As the weeks and months went by, little by little (as it should be), the weight started coming off. I was learning how to plan my meals for the day, count my points for the day and even have enough for dessert. I was hitting my goals of 5 to 10% weight loss and it felt great. I enjoyed my meetings and by fall, my WW leader asked me to speak to our morning group about my experience. I finally hit my weight goal in October 2014 and the goal of becoming a lifetime member! I was so happy to get there, and everything seemed to be going great until I didn’t follow through as the months went by. This is when I started to fail at Weight Watchers. One of the first things I did wrong in continuing my successful WW journey was to change my mindset. I went from thinking I can do this to I completed my goal and now I’m “done.” I treated this whole journey as if it had an end date instead of a lifetime commitment. Yes, I attended my once-a-month meetings and weighed in to continue my Lifetime member status but that’s all I did. Right after I reached my goal, I was having a hard time adjusting my daily points to maintain my current weight and I was losing even more weight. I was told to add a few more points to my day and I did. I started to lose and gain 1-2 points every week until eventually I wasn’t tracking anymore. That’s the second thing I did wrong. It became easy to skip my meetings and weigh ins and I used the excuse that the WW meetings weren’t close enough for me to get to anymore. Not going to meetings was a huge mistake, I wasn’t holding myself accountable for staying on course, and it showed as the pounds started to pile on. I did try several times to get back on course and attend meetings, but I was allowing life to get in the way and eventually I stopped going. I lost my life time member status and I gained all the weight back. I was so disappointed in myself. After months of working on my weight loss, achieving my goals, all that work was for nothing. At least that is what I thought until recently. In January 2018, I started WW again and had to learn a whole new program called Freestyle. I honestly had a love-hate relationship with it and was able to lose some weight but not as successful as I was a few years ago. I gave up. Probably not the best idea, but it wasn’t working for me this time around. I couldn’t figure out what I was doing wrong or right, so I decided not to try to figure it out anymore. I would have to take this weight loss journey in another direction. The remainder of the year, I tried many other things but none were working. Everyone had been telling me to cut myself some slack as I had been through a lot with my lung cancer surgeries and going through menopause was certainly contributing to my inability to lose weight. So, I let it go. After thinking about it a great deal, the one thing I realized that I now needed to do differently in addition to eating healthy was to incorporate exercise daily. You would think that being a mom to 6-year-old twins would be enough. This year, I’ve started a new goal. Not a resolution. Resolutions are so easily broken, and I find that setting goals is much more achievable for me. Although not a current member of WW, I do follow a lot of their guidelines, and have used it in a way to be more effective for me. I’ve been putting my energy into finding a way to cut back where I can, eat more plant-based foods, and keep in mind portion control. I also started a 6-week walk challenge and I’m currently in the middle of week 3 and so far, so good. I’m also not weighing myself every other day and trying to hold off on stepping on the scale until after my 6-week challenge. 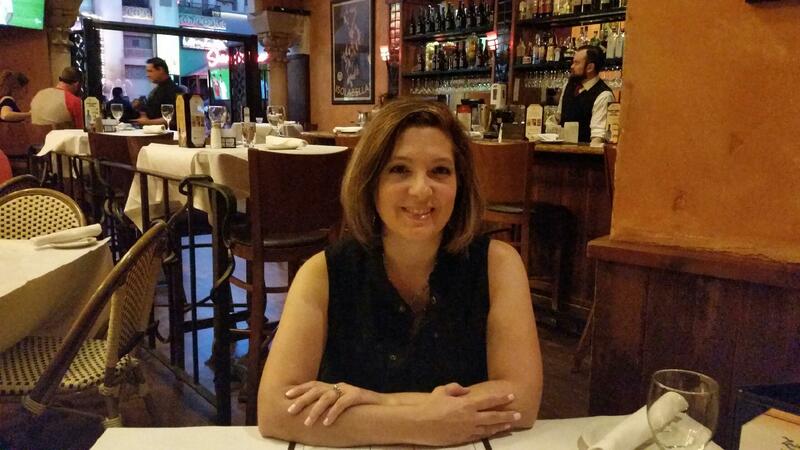 If you are starting a weight loss program, here are my 3 tips to stay on track. Set a small goal – Instead of saying I’d like to lose 20 pounds, start with 5. The one thing I learned from WW is they start you with a first goal of losing 5% of your weight. This worked for me then and today as well. Small goals are achievable, and you still walk away with a feeling of accomplishment. Stay focused – Once you reach your goal, continue keeping a positive mindset. Stay focused! Do not feel or think as though you are now done. Keeping healthy is a lifestyle. My biggest mistake was thinking I was done once I completed my weight loss goal. Accountability – Once I reached lifetime status, it was easy for me to skip going to weekly meetings. In order to keep my lifetime membership, once a month weigh ins was I all needed to do. As my weight started fluctuating, I used the excuse that WW wasn’t close enough or convenient for me to get to. All of that was just excuses so I didn’t have to recognize or be held accountable for gaining the weight. Attending meetings even at lifetime status is so important. It will continue to help you stay accountable for keeping a healthy lifestyle. Losing weight is rarely easy, and learning to eat right, exercise and get enough sleep are key to maintaining a healthy lifestyle. I do my best, and there will always be times and days where we get off track but don’t let that stop you from trying. Never give up. Have you ever tried the WW program or any other weight loss program? I’d love to hear about your healthy lifestyle journey. I have always been able to obtain a pretty healthy weight until I started dated as a divorced woman in 2004, fast forward 15 years I found myself to have gained 50 lbs. 2013 I was diagnosed with a low thyroid and just looking at food, I gained weight. I suffer from a very rare chromosome disorder that causes blisters on my skin which prevents me from being able to exercise so I needed to do this by diet alone. I got engaged in June 0f 2018 and thought, I have got to lose weight somehow to be able to fit in a wedding dress so I turned to Nutri System Rapid Weight Loss. I’ve never done a diet so I figured I’ll try it for 1 Month. I got myself in to the mindset that I can do this so I started taking the stairs at work and with the encouragement (and criticisms) from Coworkers, I started making much better meal choices. In 2 Months I was 20 lbs. lighter. I did the 1 Month with Nutri System that I was committed to doing but cancelled immediately after the Month because I thought the food tasted horrible and was very unhealthy. I was doing great keeping the weight off until I lost my job in September when it all went downhill. I’ve gained 7 lbs. and are trying very hard not to get in to the boredom eating binges. Trying to cancel Nutri System is a whole other story. Thank you for sharing your story. I understand it’s difficult to stay on track when life gets in the way. All we can do is try. Congratulations on your engagement!